In the Book a democratic system based on the necessary principles for survival of a democracy is suggested: - 1. Truth shall prevails; 2. Justice must be above all; 3. Reins of the powers should be in the hands of the people; 4. Unity, based on self reliance, self respect and self dependence amongst the people must be supreme objects; 5. Each, including Constitutional Authority should be accountable before the law and system irrespective of his status or position; 6. Justice delivery system should be easy, affordable and within reasonable time; 7. In the Election mechanism value should be given to the Voters not to the Voting; 8. Individualized Politics should not be allowed at any level and at any cost; 9. Promotions in the Politicians should be based on experience, competency and performance; 10. Distribution of the benefit of the progress and economical betterment of the country should be horizontal; 11. System should not allow to find the ways to discriminate one to protect the powerful by skills or expertise. 12. Each Individual should be kept away from the democratic process, if he does not obey these principles with the latter and sprit. ii) ISSUE direction to respondent No. 2 (Election Commission of India) to evolve a method to restrict the candidature of a person, facing criminal proceedings in any Court of Law, for the Membership of Parliament or State Legislative Assemblies and after due approval from this Honble Court, impose the same for future elections till the respondent No. 1 makes Law; as prayed for under prayer No. i ) hereinabove. The Members of Parliament and / or State Legislative Assemblies should be defined as Public Servants under all criminal laws. (ii) Number of Crime in respective Police Station? (iii) Date of Crime according to F.I.R. registered in Police Station ? (iv) reference of law under which crime is registered ? (i) Name of the Court, in which charge sheet is filed? (ii) Number of the Crime Registered in the Court? (iii) Date of Charge Sheet? (iv) Reference of Law under which Charge Sheet is filed? (c) The present status of the proceedings? If the Criminal Proceedings are pending more than one, similar informations should be provided in respect of each such proceeding. In India every Political Party is working under the domain of few Individuals or Families. Resultantly, affairs and working of every political party, found to be far from the democratic principles. Whenever, any dispute amongst corporate organizers of such party arise, they says that this is their internal matter, forgetting no matter of a Political Party can be internal matter, if its Bosses are working with the object to reach or send their representative in Parliament or State Assemblies or Local Self-Governmental Bodies to share Powers. Therefore, I submitted suggestion in Writ Petition (Civil) No. 151 of 1996 by filing before Honble Supreme Court of India for regulation of the Political Parties through a Common By-Laws, to be prepared by the Election Commission of India after consultation with all Political Parties and Public at large. Due to restraining provisions to check entry of the Criminals in the fray of the Election for Parliament, State Legislative assemblies or Local self-Governmental Bodies, Result is exposed by the Vohra Committee in its Report, from which difference between an true Politician and a Criminal became difficult. I filed Civil Writ Petition No. 151 of 1996 before the Hon'ble Supreme Court suggesting amendments in the Officials Act, and severla other Laws, more importantly, I submitted a Draft of Model for Civil Procedure Code. During the hearing of the Writ Petition, on 29th March 1996 the Honble Court of Chief Justice, headed by as then was Mr. A. M. Ahmadi suggested me to forward my Draft of Model for Civil Procedure Code to the Law Commission of India, which I done, but how the pseudo probity is in action, that Honble Chief Justice of India as then was Mr. A. M. Ahmadi himself appointed a Committee for recommendation on Civil Procedure. Secondly with regards to my suggestion for Rules Under Article 145 (1) (c) of the Constitution to define "appropriate proceedings" for Writ Petitions, and order was passed that "Place this petition before Honble the Chief Justice of India on the administrative side to consider the regulations of Public Interest Litigations. ", while there were no reference of the Public Interest Litigations in the Writ Petition. However, Result was that in the year of 1997 some Rules were inserted in the Supreme Court Rules, 1966 virtually restricting the right to move under Right to Remedy guaranteed under Article 32 of the Constitution. Such Rules were framed in serious violations of the Powers provided to the Supreme Court under Article 145(1)(c) of the Constitution to make Rules "as to the proceedings in the Court for the enforcement of any of the rights conferred by Part III". Possibly I was the first victim of such newly inserted Rules. On 11th August 2003 I submitted a Petition comprised a draft of "RIGHTS OF THE CITIZENS AND ACCOUNTABILITY OF PUBLIC SERVANTS ACT 2003", with supportive materials before Petition Committee of the Parliament, and same is still pending "Under Scrutiny". At the age of 14 Years My self and my friends, opened a Library in my small native village and collected thousands of Books. In the year 1960, at the age of 18 years on the basis of my complaint having with strong evidence, Postmaster of Dhupguri (Jalpaiguri District in West Bengal) was suspended, for indulgence in misappropriation of money of Postal Department. In the year of 1963-64, on the basis of my complaint to the then Home Minister of India Shri Guljari Lal Nanda, one Pakistani spy working as Postmaster in Tarabarihat Post Office (Kamrup Distruict in Assam) was arrested. A high level enquiry was set-up on the basis of complaints from several persons including me against the then District Collector of Jhunjhunu (Rajasthan). 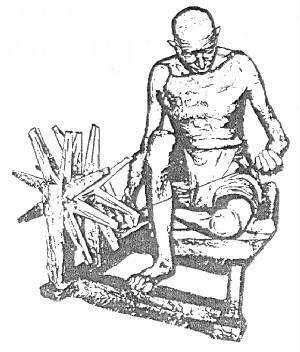 During 1965 and 1970 Election Reforms were suggested by me were published in several Newspapers, with my address, as a result I received several Hundred letters from all over India including one Nemi Chand Gandhi, who subsequently changed his name as Chandra Swami, and tried to lure me into Huge Income resources through illegal means, but I could well understand his cunning of laying the trap and so did not go for his callings. In 1965 I suggested to Education Minister and Ministry, for education related issues and received response from the then Education minister of India Shri Triguna Sen himself and Senior Ministry Officials. In 1969 I suggested to Election Commission of India to issue Identity Cards to Voters, though I do admit that in my suggestions nothing was suggested for Photo Identity Cards. In 1975 Economic Times published my several interviews including one relating to manipulations in cost of productions by one powerful Monopoly House, and that the then Industries Minister of India assured Parliament with reference to exposure made by me against illegal transfer of the money to Switzerland. In 1976 Notice for Hunger Strike issued by me was referred by one important national Newspaper as Nobel Protest, and related union Ministry accepted our demand. In 1976 I was elected as Director of the one Monopoly / Multinational Company through Votes by hands, but then Company defeated the result by voting by cast of Paper. 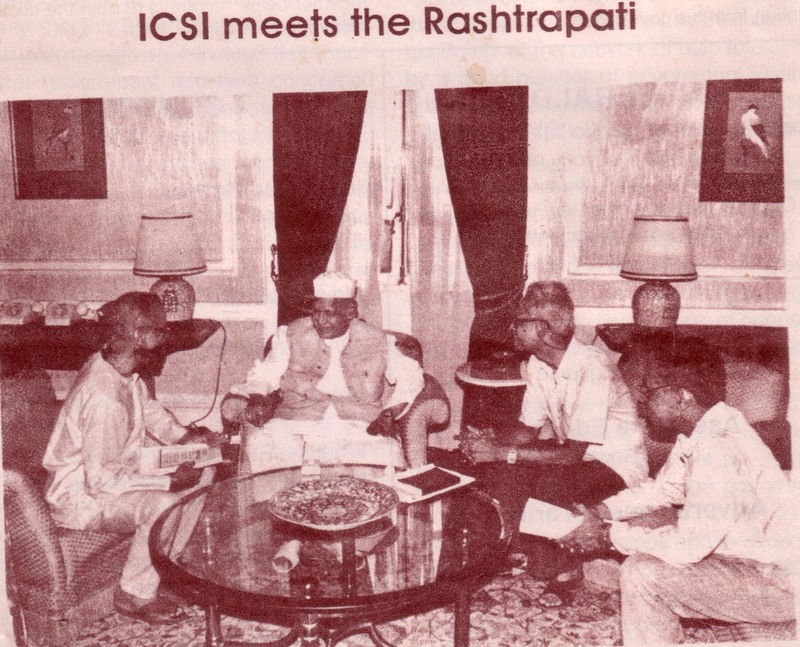 In 1977 I was invited before Parliamentary Public Undertaking Committee, headed by the then CPI (M) M. P. Late Jyotirmoy Basu, to give evidence on a national importance matter. During the evidence I understood that till then, I was first Indian who was invited before any Parliamentary Committee on individual capacity. In 1979, one Monopoly House filed a Writ Petition, against principle of the Fair Price. I filed an application for substitution considering matter of great Public Interest, which was dismissed on the ground that I was personally not interested party in the matter. In this matter Learned Mr. Millon Banearjee, newly appointed Attorney General of India appeared on behalf of the Government of India. Finally Monopoly House lost its case at the Supreme Court level, and my object was served. In 1980, I set on 9 days successful Hunger Strike against Balco. 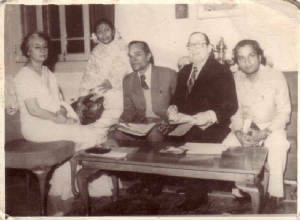 I met thrice with the then Prime Minister Smt. Indira Gandhi, on the subject relating to Fair Price and equitable Distribution of some products produced by Monopoly and Multinational Houses. In 1980 Honble Chief Justice of India taken cognizance in respect of my complaint against one order passed by one of the Honble High Court in the matter of which Judgment was already reserved, but order was passed without pronouncement of such long awaited Judgment, for more than one year, as the said order virtually defeated assurance given by Smt. Indira Gandhi to us. Subsequently (Late) Mr. Kalyan Ray, M. P., from CPI raised the issue in Parliament through one motion. 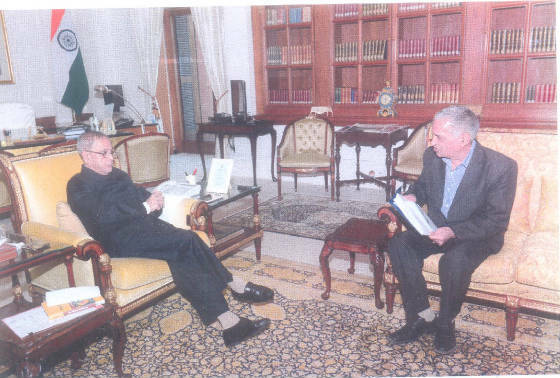 On my telegraphic application, the then Acting Chief Justice of India Mr. P. N. Bhagwati, taken cognizance with reference to merger proposal of Indian Aluminium Company, with Mahindra and Mahindra Limited, and then just at the verge of completion of merger, Government of India declared the proposal against National interest, due to strong persuasion from me. 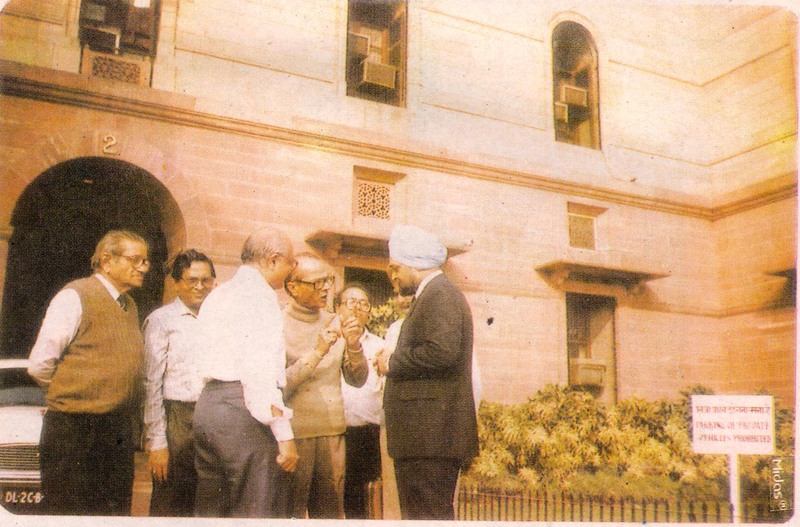 In 1994 after complaint from me Reserve Bank of India moved before Supreme Court of India against Pearless General Finance and Insurance Company, Kolkata, resultantly Company suffered a setback caused by imposition of a liability of about Rs.700 Crores (Rupees Seven Hundred Crores) and its then Chairman was to resign. 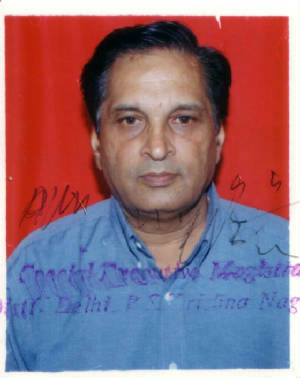 In or about 1994-95 I stopped the Government of India and National Small Industries Corporation, from entering in the tripartite agreement by lodging an complaint against a proposal from a German Bank for a long term Loan of Rs.100 Crores for 40 years with publicly declared concessional rate of interest @ 1% p. a., which actually had hiding cost @ 10% p.a., chargeable through Banks own panel in the garb of the risk guarantee against Foreign Exchange Conversion Rate. IN 1994 I submit before the Finance Ministry that under the Income Tax Act, part of any property on sale, should be considered as part of one Unit for the Income Tax purposes, and my views were uphold by Judgment of Honble Supreme Court. 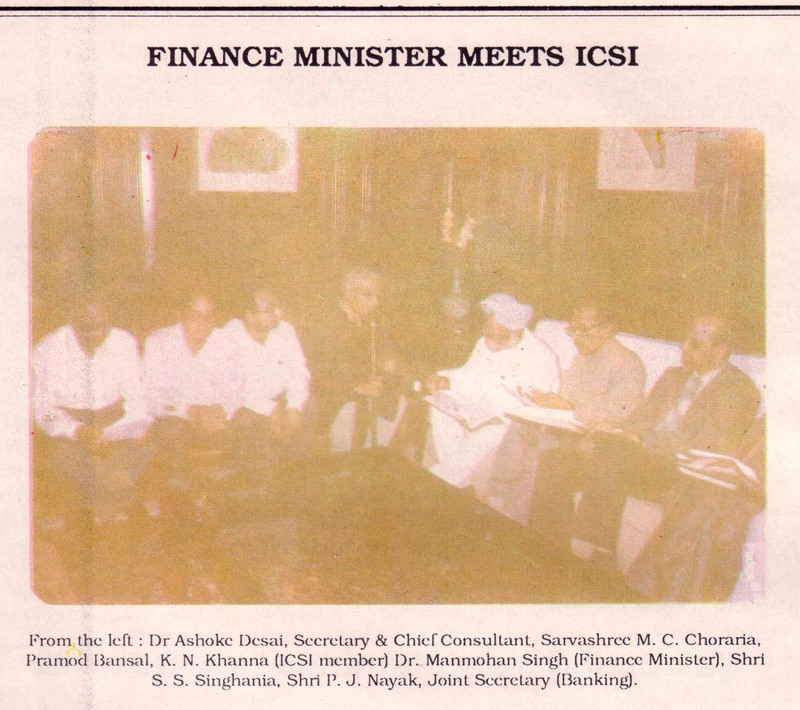 In the Year 1994 I was appointed as Member of Two Sub-Groups (Finance and Raw Material), under the Group constituted by the Planning Commission on Small Scale Industries for 9th Five Year Plan. I met with Shri Man Mohan Singh, several times as the Honorary General Secretary of Indian Council of Small Scale Industries, an Apex Organisation of SSI sector. I submitted my suggestion on Lokpal Bill before Parliamentary Committee on Home Affairs headed by Mr. Sompal. Shri P. Chidambaram presented a Bill for New Companies Act, when he was Finance Minister as representative in Union Government from Tamil Manila Congress. Bill was forwarded to Parliamentary Committee, and I submitted large number of suggestion to Committee. Since the then Loksabha was dissolved, as such the said Bill was lapsed. There are several other matters relates to my social activities.